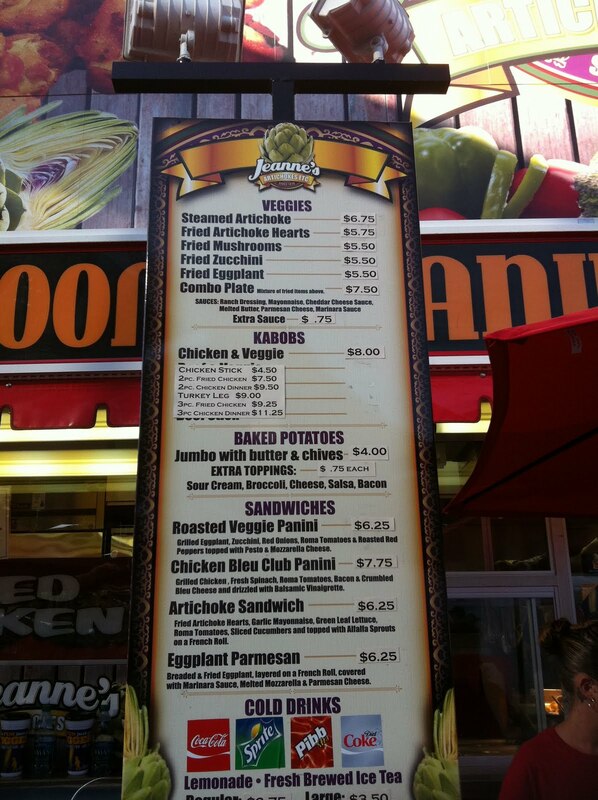 Healthier Fare at the California State Fair! This year, I have changed my focus a little with my side business and this website. I no longer make cakes or sweets or anything that I shouldn’t be eating. Well, anything I shouldn’t be eating I certainly don’t want to try and sell to you. So now, I want to report more on healthy living… or at least making healthier choices. 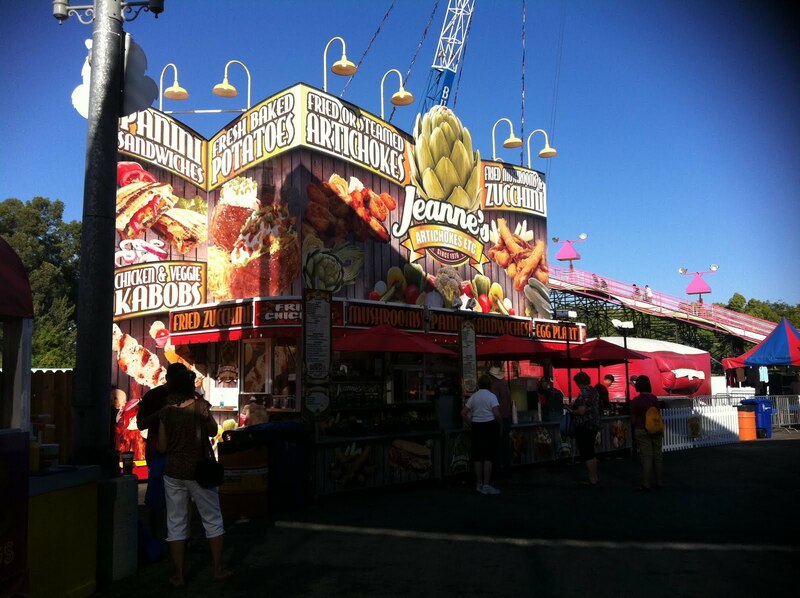 In this post, I will show you that YES, there are better food choices at the fair. You can make it out alive without having a “deep fried” anything. No one is forcing you to eat a funnel cake, ok? If you are currently on a diet or have been advised by a doctor to stay away from sugar and excess fat, you don’t have to avoid the fair altogether. Read below for some information on vendors I visited that carry lighter food choices! Here is a picture of her stand. Look for the big artichoke. Below are other choices at her stand. You can also get a steamed artichoke. Bring your own lemon and pepper or sea salt. I am not kidding. When you are dieting you plan ahead to avoid failure. There are even sandwiches at Jeanne’s (though I avoid anything with bread or processed grains), and those of course are better picks than anything deep fried. 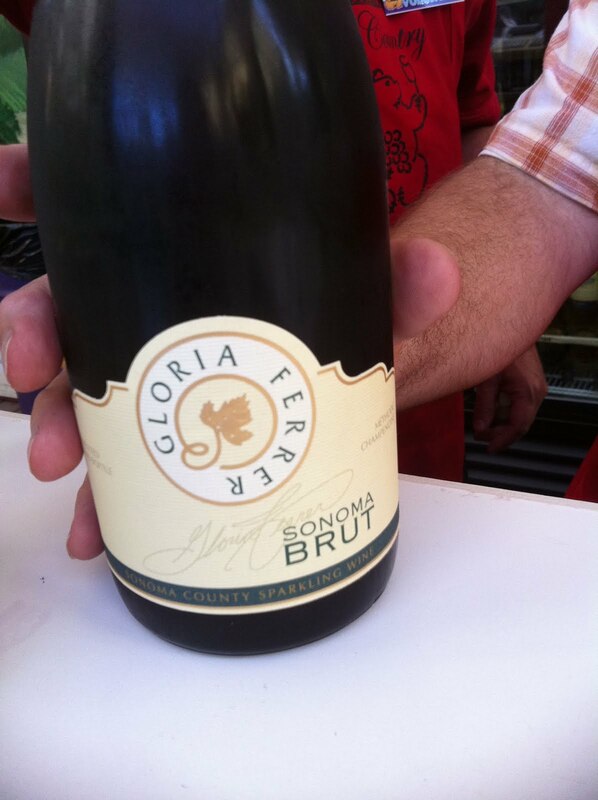 Also, don’t miss this coming Friday’s (July 29th) wine event at the fair. The Taste and Celebrate the Best wine event (formerly California Grape & Gourmet) is the culmination of the Golden State’s premier wine competition. 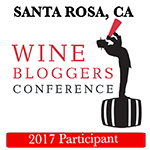 This special celebration of the State’s world class wine industry will include a tasting of California gold medal winning wines as judged at 2011 California State Fair Wine Competition. Proceeds from the Taste and Celebrate the Best event will benefit the Friends of the California State Fair Scholarship Program. You can buy tickets here. 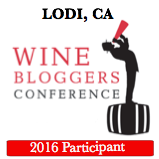 (scroll down to the Taste and Celebrate the Best event). See the labels above? Those are three wines I tried (not in that order). 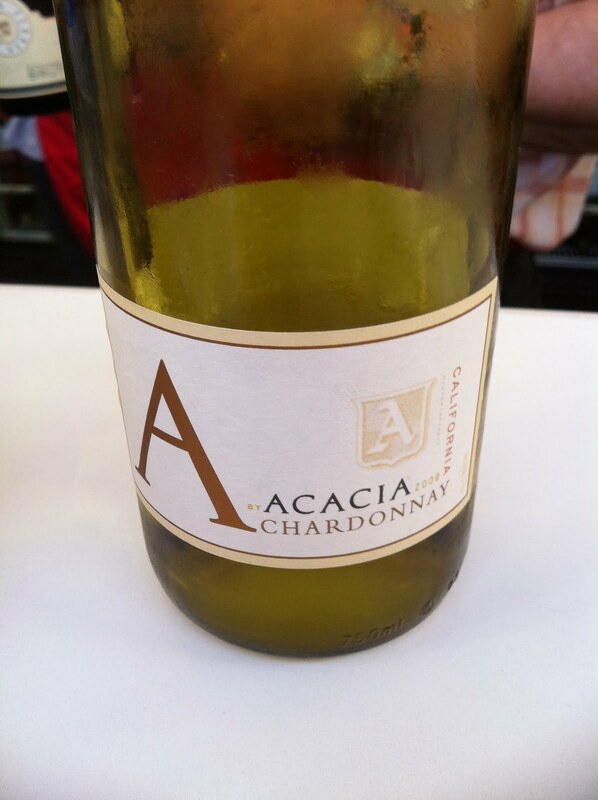 I ended up buying a glass of Murphy Goode Chardonnay to go with my chicken kabob. 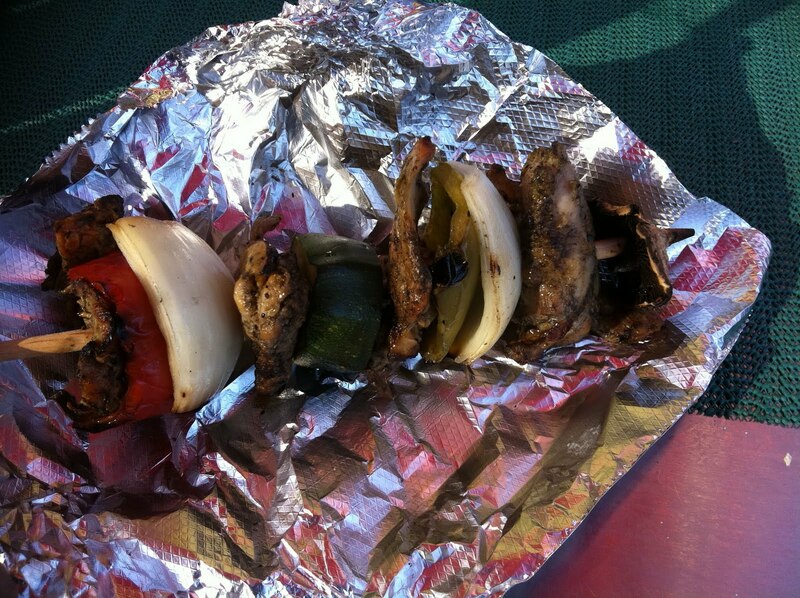 So now, my calorie count is at about 400 (with the kabob, wine, and wine tastings). 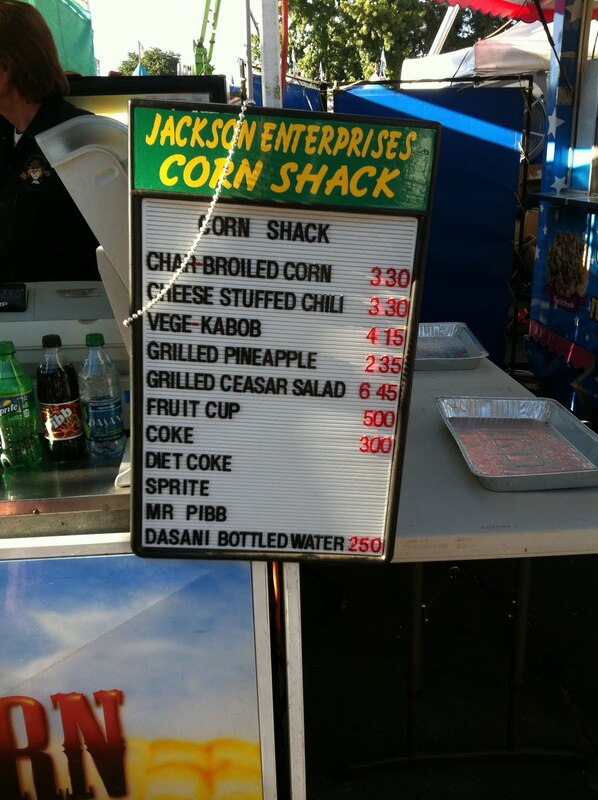 And 400 is a fraction of most foods at the fair. Moving on for dessert!! 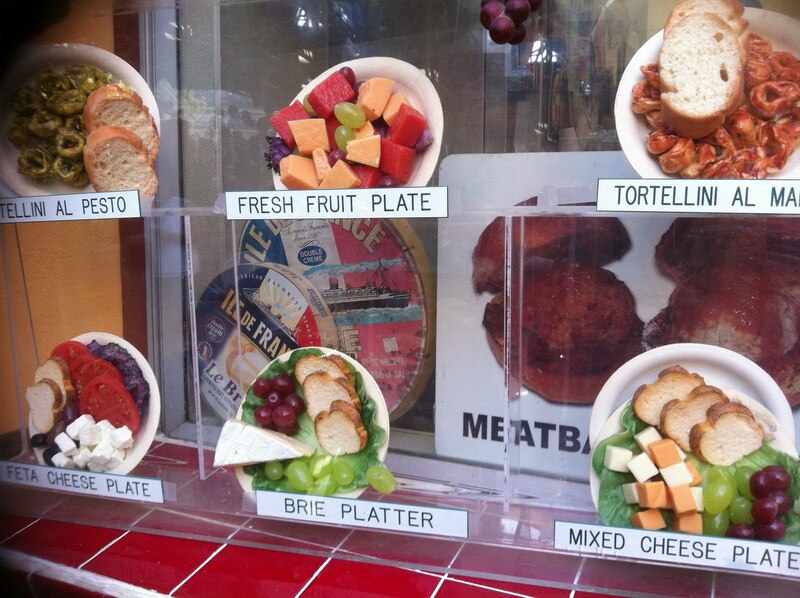 Pignotti’s is a booth located in the wine garden that sells cheese and fruit plates. It is owned by Ken and Cathy McKnight. They also sell pasta, but we will avoid pasta won’t we? Yes, we will. I am looking for something light and sweet. Yes, a little fruit plate. Though the feta cheese plate looks awesome and is a great choice as well. 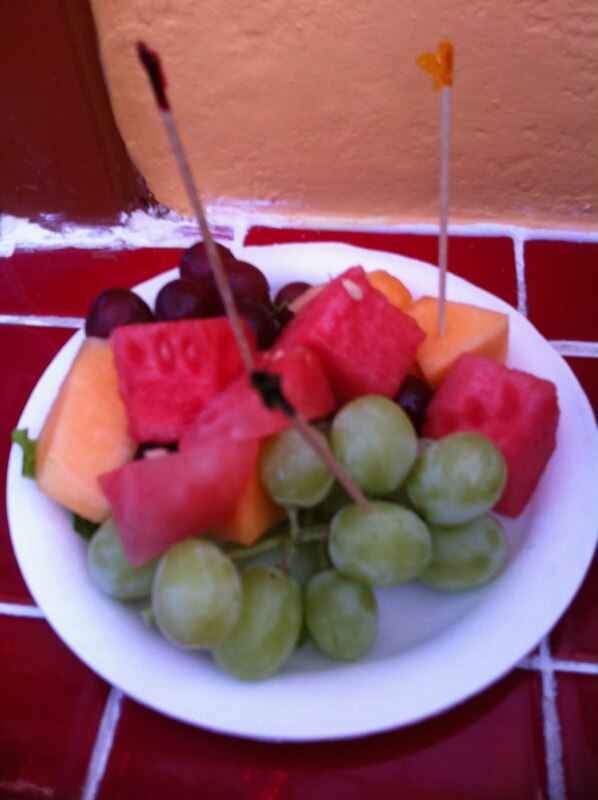 I was pretty much ready for dessert so it was melon and grapes for me! Perfect. And now… only up to 525 calories or so. After my fruit, I was ready to walk around and scope out more choices to write this post. 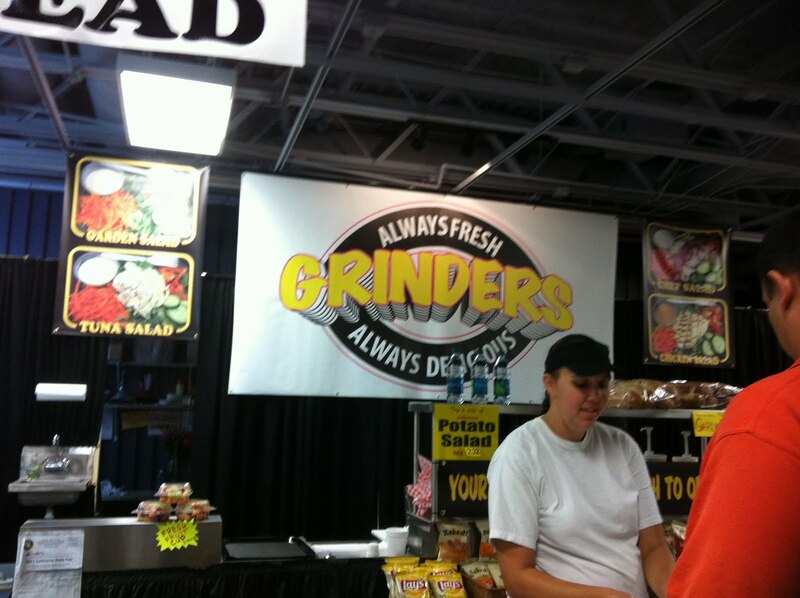 If you go in the main county exhibit hall, you will find this place called Grinders. 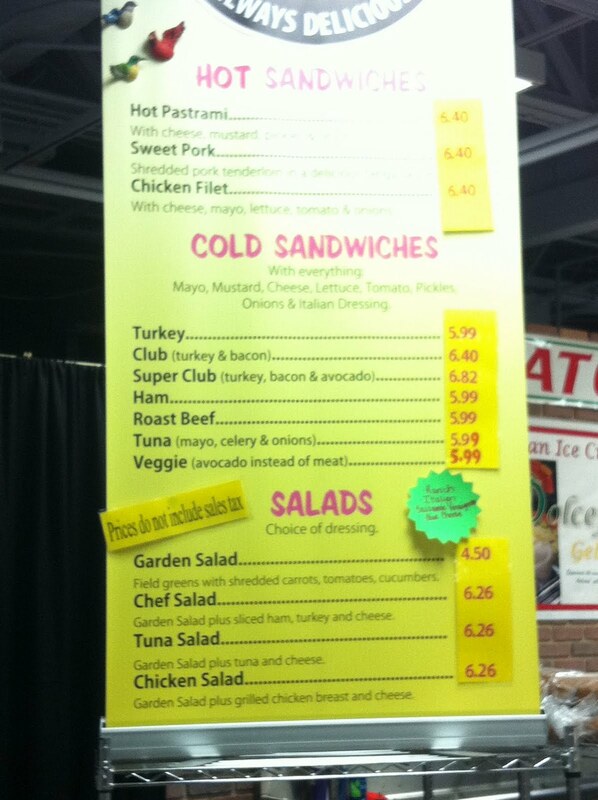 They have a few different salads you can choose from. Just avoid the “grinders” ;). Think of how you want your abs to look “grinded” or “shredded” and go with a garden or a chef salad. No dressing!! This is again when you bust out the pepper and lemon. Or, you can find a place with a little tabasco sauce or one of the stands that has soy sauce. Anything vingary, but please skip those nasty high fructose dressings. No bueno!! If you head to the back of the fair behind the wine garden and the exhibit halls, there’s an awesome agriculture exhibit with a lot of hands on garden stuff, plants, fruits, vegetables, and guess what?!? 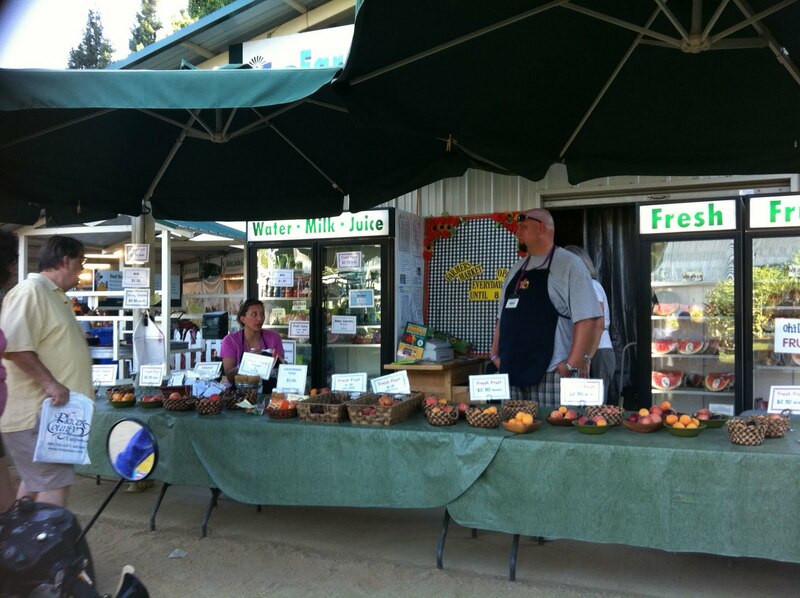 A produce stand where you can buy… omigosh: healthy food! Check it out. You can buy fruit by the piece or by the basket. 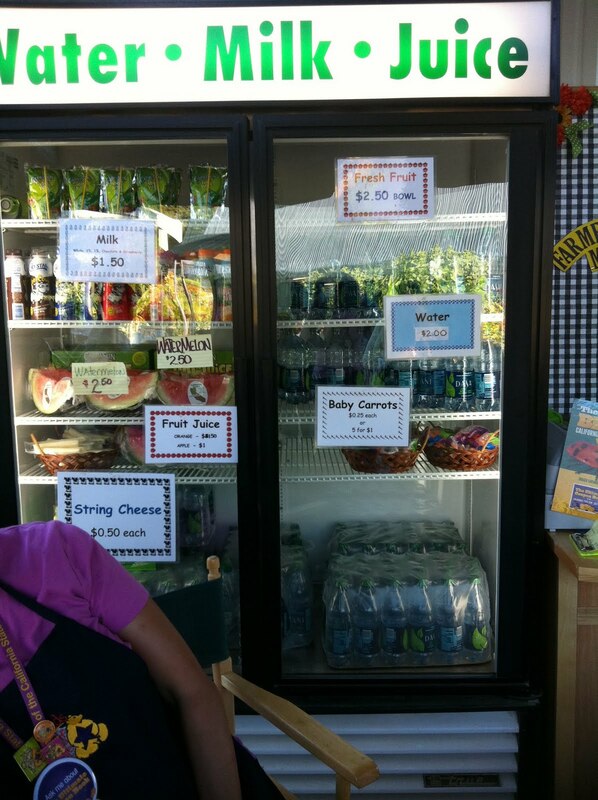 There are also items such as carrots, string cheese, and melon in the cooler. I bought some carrots on day two of my visit. 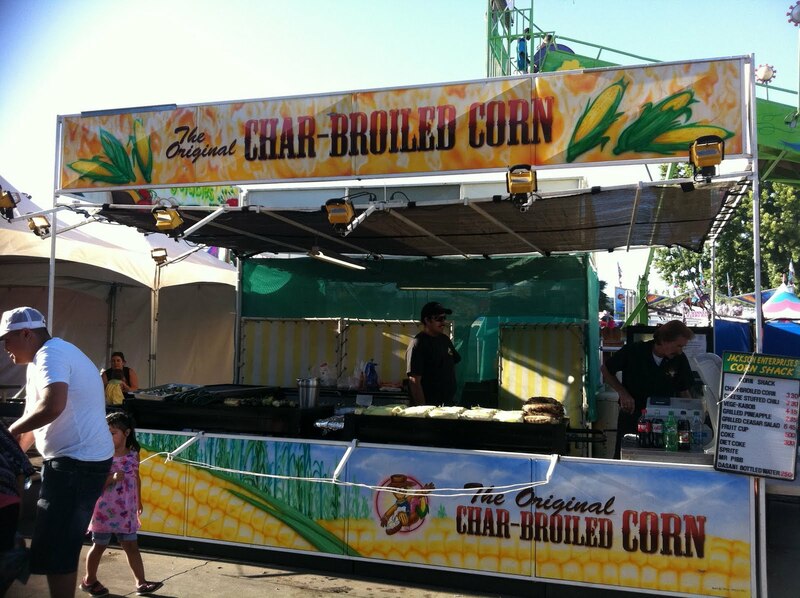 Another place I spotted is this stand that sells char-broiled corn. Now, this is definitely a healthier choice, but I avoid anything with corn at all because corn is a grain, NOT a vegetable. But, it’s definitely a better pick than french fries or the wall of onion rings. 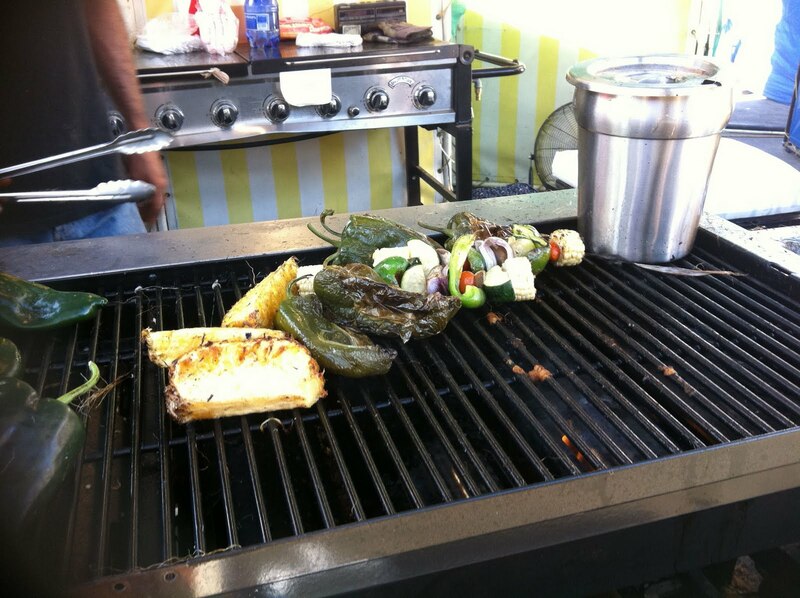 The same stand also sells vegetable kabobs, grilled pineapple (YUM) and fruit cups–awesome!! The stand is located near the kids rides on the way to the livestock area. 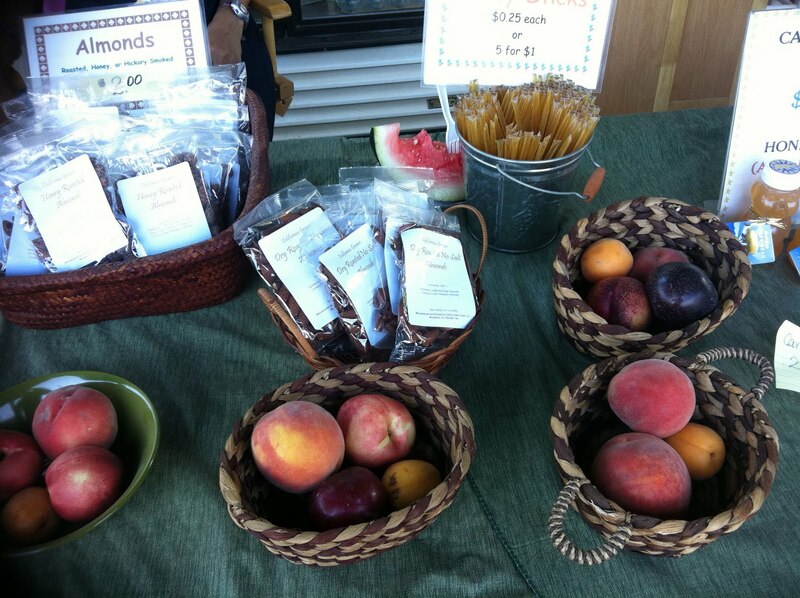 More healthy stuff at the fair… not just food, but MOVING! Shake your booty to the blues! 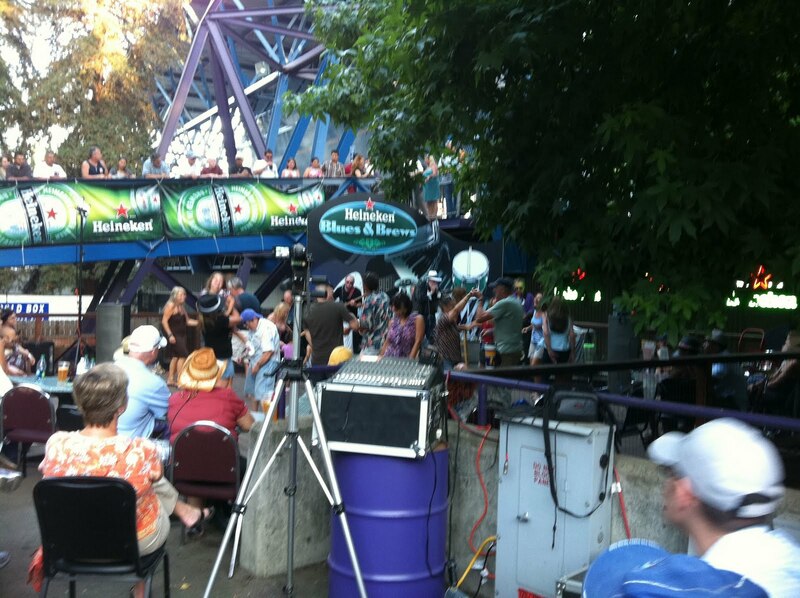 This is the Hiney Blues and Brews stage where Mick Martin and the Blues Rockers (find them on iTunes here) play Fri-Sun from 5-8pm. It’s a real treat for me. And yes, I do love to dance. And so do the people in the pictures! So fun! 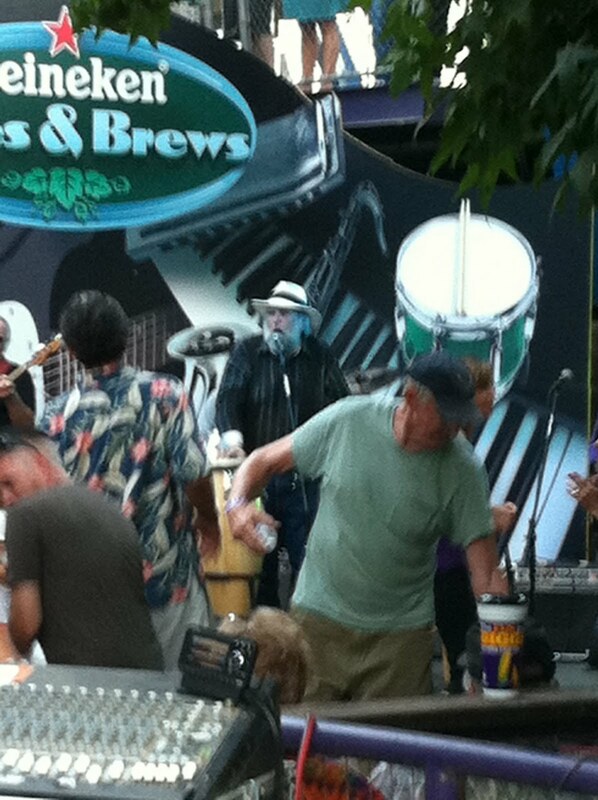 Also, come out to the fair Blues and Brews stage and get Mick’s cds… he is selling them 3 for $15 ONLY at the fair. He will sign them for you, too! His music just makes me happy and happy = healthy!! Lastly, I didn’t even mention this, but you can BRING in your own food. Now, how is that for opening up healthier options? This post was done over 2 days, so the kabob/fruit meal was Friday night and on Saturday night I actually brought in my own cooler. Another fair patron asked me about it, and I was surprised she didn’t know about bringing food. I brought in my own water. My own ice. It was a cooler no bigger than a large purse and I was fine carrying it around because it saved me a ton of money and I could bring in my own “good-for-me” food. The California State Fair runs until July 31st. You can follow them on twitter here and find them on Facebook here. Here is a link to a schedule of the fair’s daily events/activities. To purchase tickets to the fair or for any events, you can go here. This entry was posted on July 24, 2011 by cavegrrl. It was filed under California State Fair, diet, food, Mick Martin, wine and was tagged with California State Fair, events, Mick Martin, wine.